Did you know you can re-grow celery? 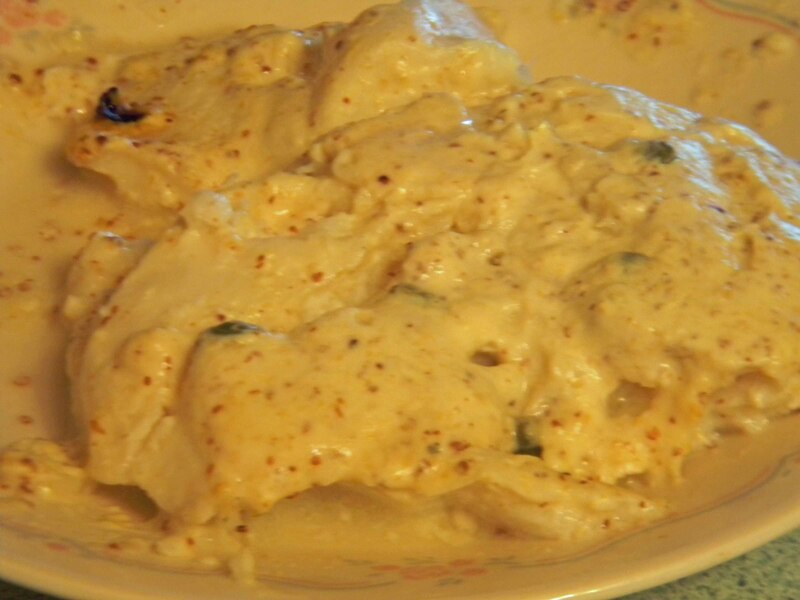 There are a few store bought items that you can re-grow and celery is one of them. It is so easy. You just save the bottom of your celery stalks and push it into the dirt. Yep that’s it. Don’t believe me? This is what my celery looked like before planting. 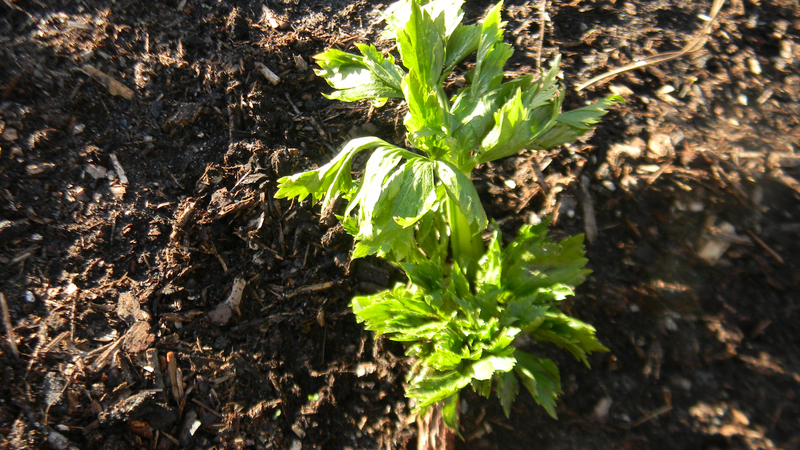 This is what the celery looked like 4 days after being in the ground. Still not convinced it is easy? These were all planted from the bases of my store purchased celery. It’s that easy. I am actually shocked that they are growing as quickly as they are. Celery does like warm weather, the first time I tried this we had a freeze and I lost it. I will be growing some of these in my self watering buckets which will enable me to move them indoors when frost threatens. And I will have a constant supply of celery. 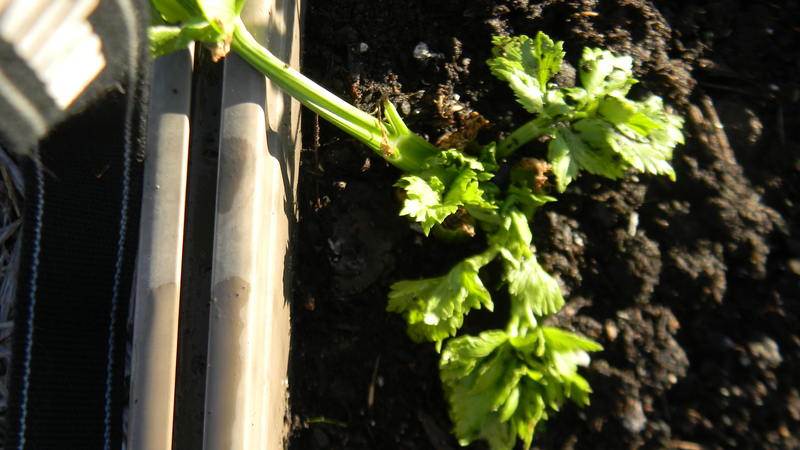 Celery also needs to be watered regularly and I will be feeding it some of my compost once in a while. This would be a great project for kids because it is so quick and easy to grow. You can even put the base of the celery in a shallow dish of water and watch it grow indoors. 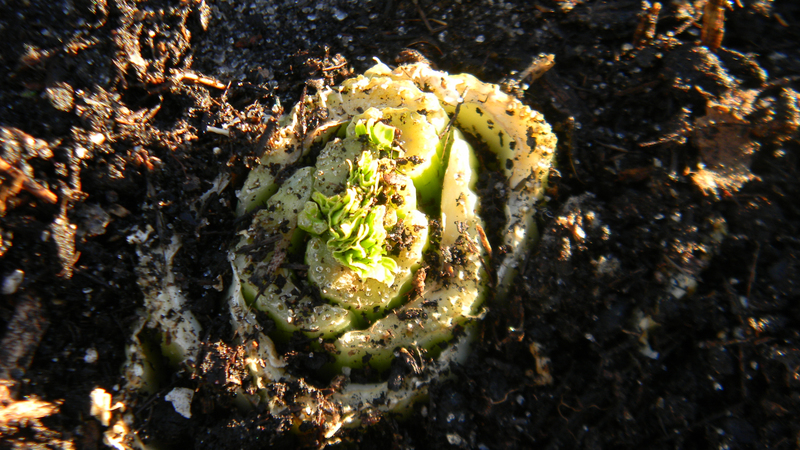 This entry was posted in Gardening, Posts and tagged celery, growing celery, Re-grow celery. Bookmark the permalink. Keo, when do you pull them? Is it obvious when they’re “ripe”? You don’t pull, just cut off the stalks as you need and they will continue to grow! When stalks are about 8″ high you can harvest. I tried this last summer but we lost it. Don’t know what happened. We will try again this year. Good to see yours growing so well! Worth a try as it really costs nothing to try it. 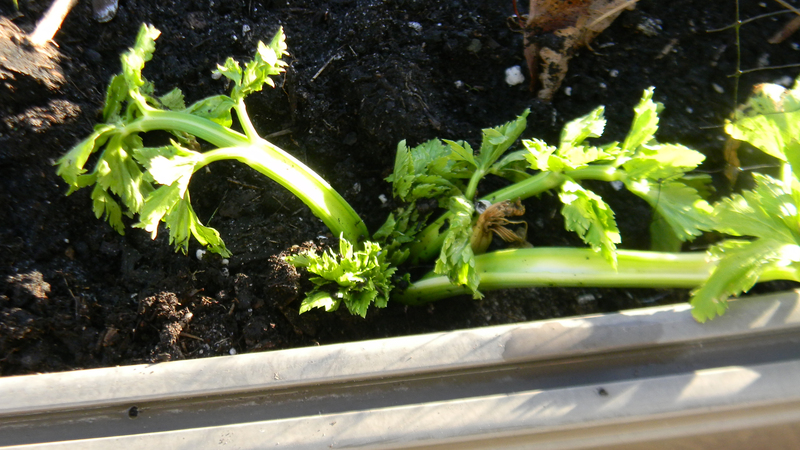 I haven’t tried regrowing celery – though I did try regrowing green onions on my window sill. 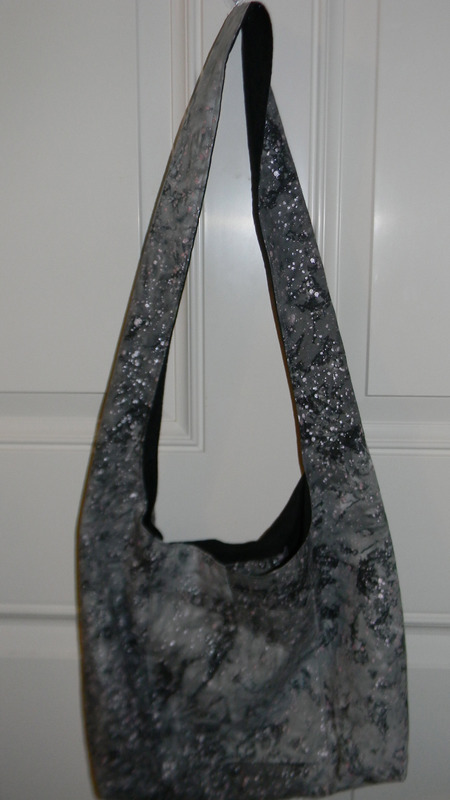 It worked great, but eventually they got “used up” and had to be thrown out. 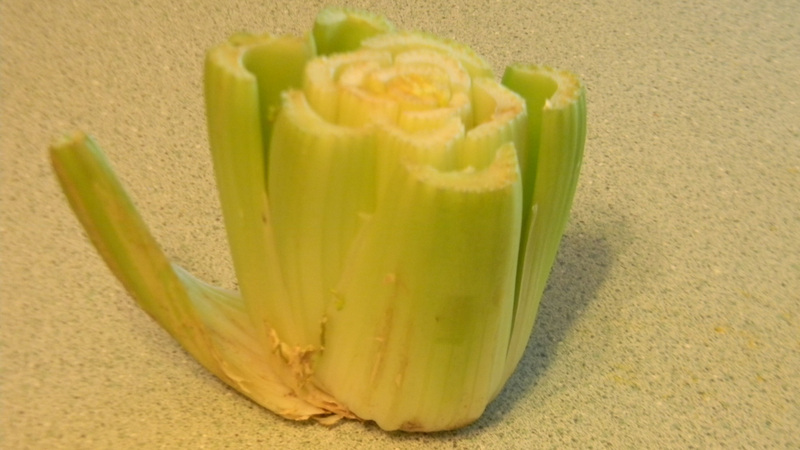 Does the celery taste the same after regrowing? I have not tried one yet but can’t imagine that it wouldn’t. This is organic celery. Thanks! It is amazing to watch. Love this idea! Glad I live in Florida and garden year around.